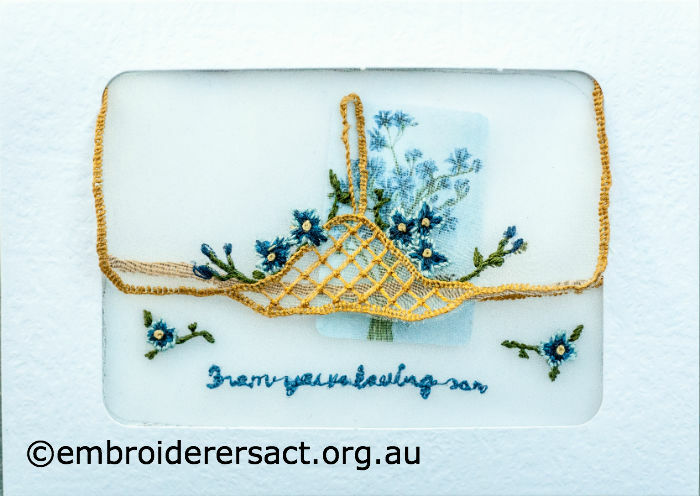 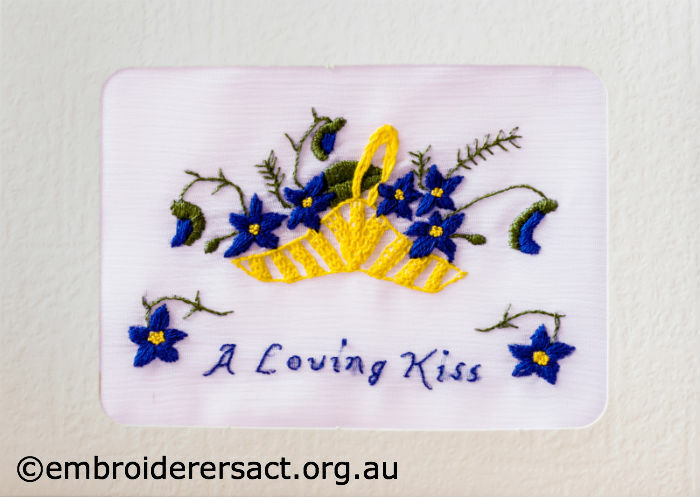 Hope you’re ready to see some more postcards from our 2014 Creative Challenge Stitching Love & Hope where members were asked to re-interpret WW1 silk postcards. 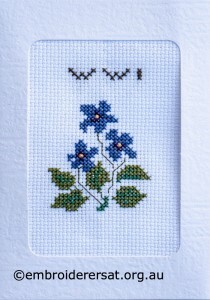 The four postcards featured in this post all have a common theme of blue flowers. 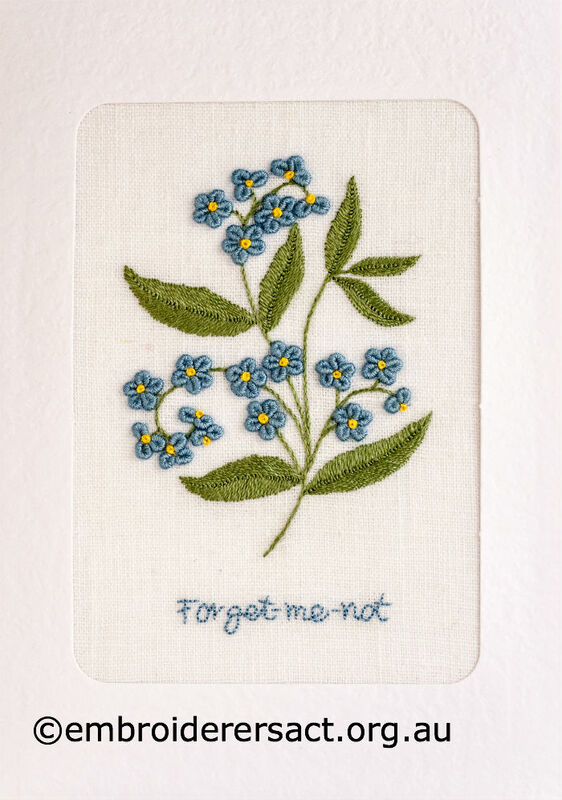 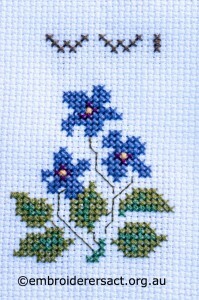 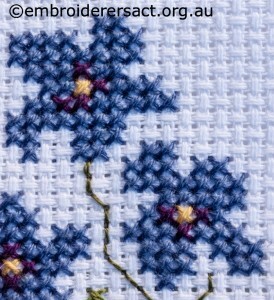 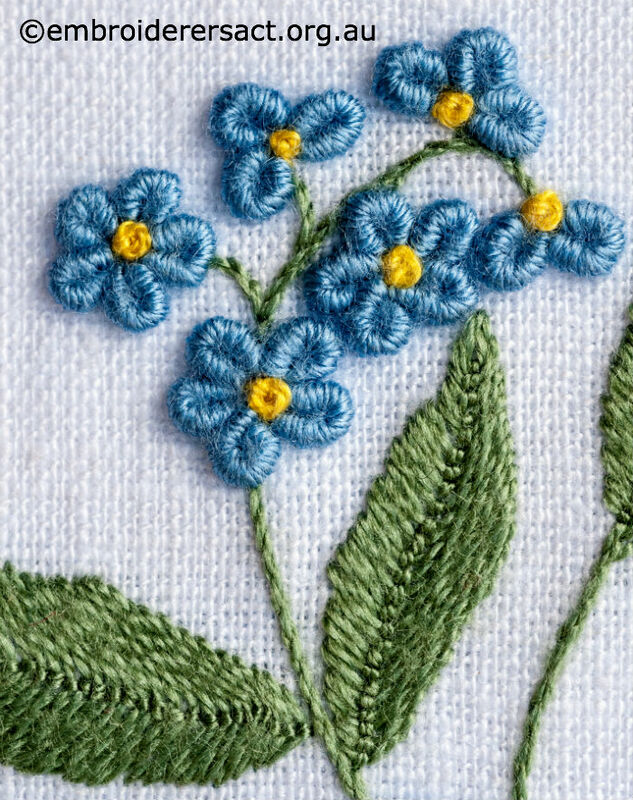 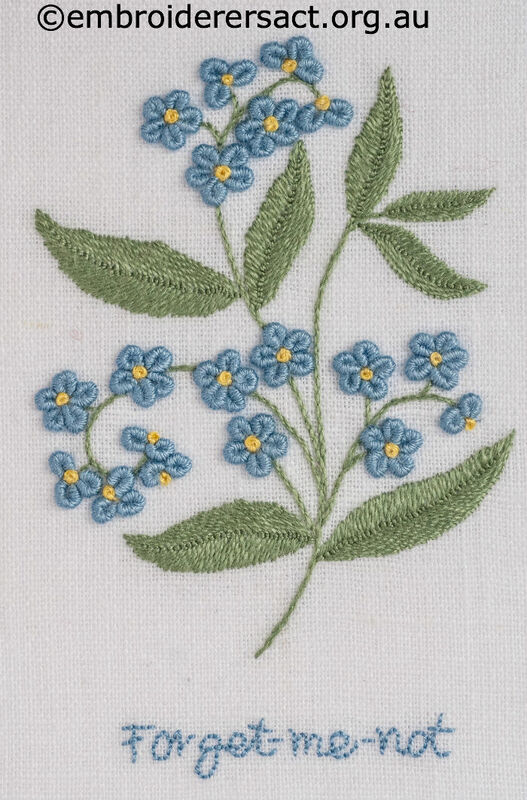 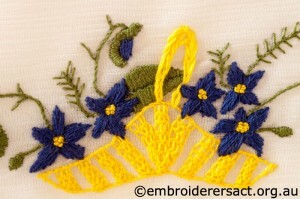 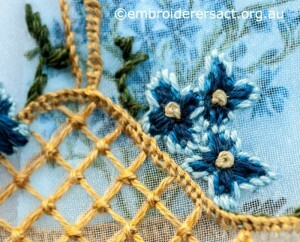 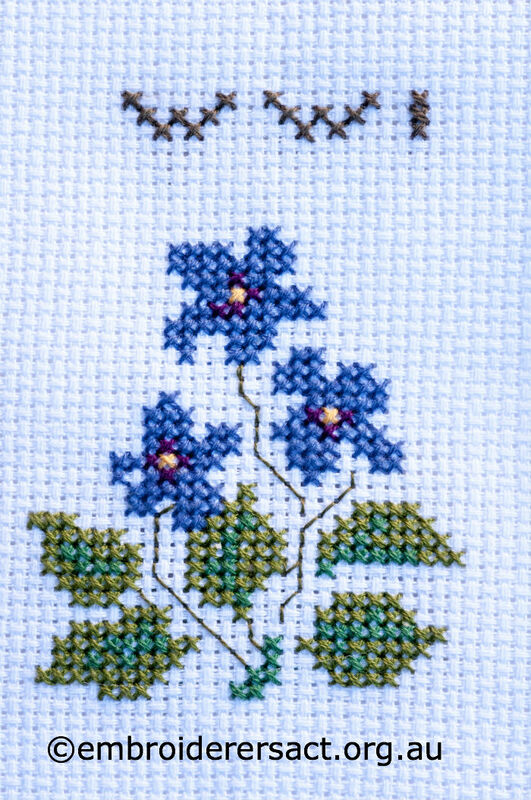 Now to Elvi McCann’s elegant postcard which features forget-me-nots in Brazilian embroidery. She’s adapted the design from Delma Moore’s The Book of Sunshine Treasures. 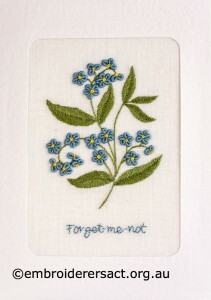 I was inspired by the story of how the forget-me-not flowers were named. It reminded me of mortally wounded soldiers in the battle field thinking of their loved ones, hoping they would not be forgotten. 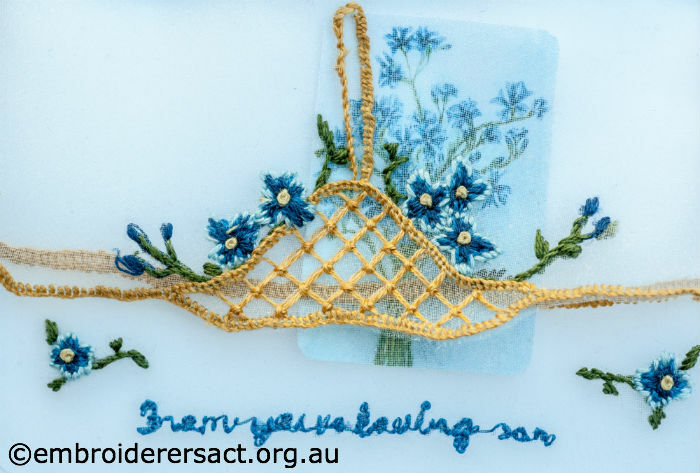 Inspired by watercolours painted by WA artist Rosetta Kelly (1864-1963) in memory of her son, Cyril, and the final card that he sent home, written on his 20th birthday. Aren’t these cards just awesome?